There are many reasons that a student receives a package. 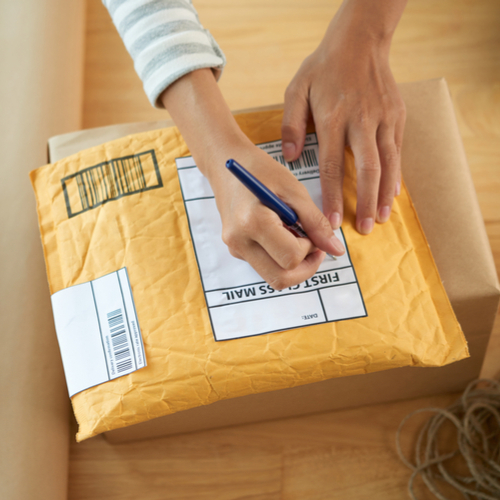 Whether it is just their usual Amazon delivery or a care package for midterms or because your student is under the weather, there are a few things that will make package delivery simpler. If you have a student living on campus, UF utilizes package lockers. This allows students to pick up their packages anytime, day or night, 24/7. Students receive an email when their package is delivered to their area locker with two codes to pick up their item. We, actually, recommend using UPS (or FedEx) in comparison to USPS as it is just timelier, especially for in-state shipping. Typically, if you are sending packages from one Florida location to another, it arrives in one day at no additional fee. (barring any weather issues). If you are sending packages purchased or fulfilled through Amazon, you might want to consider having them sent directly to an Amazon Locker that is located at 3490 SW Archer Road at Whole Foods. Sometimes picking it up from Amazon is easier than having to navigate the package delivery to dorms or even apartments. Each Residence Hall address includes an eight-digit number and the name of the hall. The first two digits are for the building, the next 4 are the room number, and the last two are assigned to the individual residents, usually in the range of 01-04. The Zip code for Residence Halls is 32612 and the “+4” add-on varies by building. It is composed of the two-digit number for the building followed by 01. Resident Hall Addresses- The range of address prefixes for Residence halls is shown below. UF Mail Services also provides UPS services at their Radio Road location. You may want to take a look at some of our Care Package blogs for ideas on what to send and when.